We're less than two months away 'til the year-end and there are still more movies to look forward to! We’ve got less than two months to go before the year ends. Some of the biggest films we got to indulge in this year so far were X-Men: Apocalypse, Batman vs Superman: Dawn of Justice, Deadpool, Zootopia, Suicide Squad, Finding Dory, The Jungle Book, Captain America: Civil War, Star Trek Beyond, as well as the recent Doctor Strange, amongst other blockbusters. As we look forward to the year-end holidays, here are some of the biggest films that have yet to come this year. 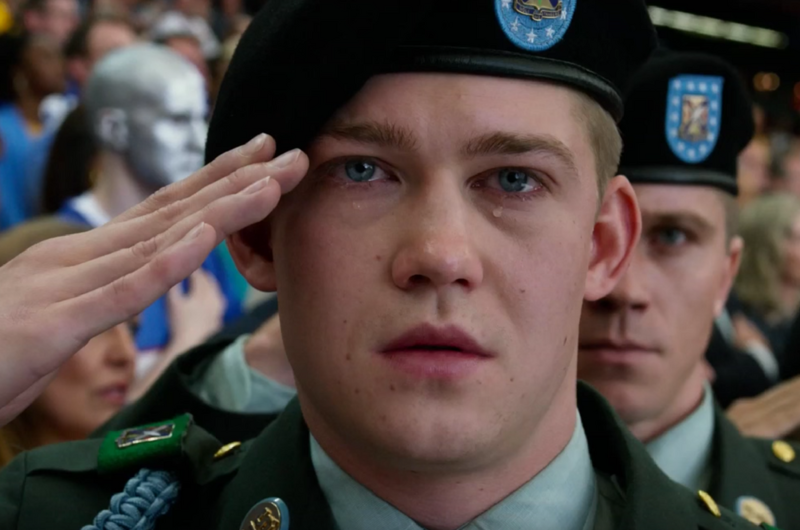 Directed by Ang Lee, this novel adaptation talks about Billy Lynn, a 19-year-old private who returns home after surviving a tumultuous war in Iraq. Lynn and other members of his squad are brought on a victory tour, including appearing at the halftime show of a Thanksgiving Day football game. However, as events at the tour begin to unfold, the troop encounters an imminent return to the battlefield. J.K. Rowling revives the wizarding world at a time way before the existence of Harry Potter. In this pre-Potter tale, Newt Scamander has just completed a worldwide excursion to hunt down magical creatures. He lands himself in trouble when some of his beasts escape during a quick stopover in New York, endangering the lives of both the No-Maj (American for "Muggle") and the wizards. Two brothers united after years of separation work together to plan a series of heists, robbing banks that are threatening to take away their family land. Just when things begin to go according to plan, a Texas Ranger in search for one last operation before retiring gets in their way. As the brothers plot their last robbery, they are forced to face the ranger and his partner. The lives of a suburban couple, the Gaffneys, get interrupted by their good-looking new neighbours, who seem perfect and normal at first glance but are really government spies. They soon find themselves in the middle of an international spy scheme that gives them a glimpse outside their ordinary, comfortable lives. In this Disney animation, a young woman – along with Maui, the legendary demigod – goes on a quest to search for a fabled island and help save her people. All eyes are set on Moana following songwriter Lin-Manuel Miranda’s success of the musical Hamilton. Will this film continue to secure the legacy of Miranda’s music? Interchange follows the story of Adam, a forensics photographer who is dragged by his best friend, Detective Man, to investigate a series of macabre ritual murders happening in the city. Adam later befriends Iva, a woman on a mission to rescue the souls of the people in her tribe trapped within a glass plate negative. The tribe’s spirit takes on the form of a human to aid Iva. A Koala named Buster Moon runs a theater that was once grand but has now fallen due to difficult times. Buster Moon is an optimist who loves his theatre and will do anything to save it. Hoping to restore its fortunes, he decides to produce the world’s greatest singing competition with five contestants: a mouse, an elephant, a pig, a gorilla, and a porcupine. A decade has passed since the confrontation between Kira and L. Now, six different Death Notes have arrived on earth. The world begins falling into chaos as six is the maximum number of notes that can exist at one time. Mass murders around the world prompt private investigator Ryuzaki to investigate. When Kira, a computer virus, starts spreading the message to turn in the six Death Notes, a battle between people trying to stop Kira and the person behind its revival breaks out. Set between Star Wars: Episode III Revenge of the Sith and Star Wars: Episode IV A New Hope during the Age of the Empire, the latest instalment revolves around a group of resistance fighters who come together to steal the plans to the original Death Star, the Galactic Empire’s space mobile battle station that has the power to destroy entire planets. The film is said to be a very different Star Wars movie that has never been seen before. In 15th century Spain, Callum Lynch relives the adventures of his ancestor Aguilar through a revolutionary technology that unlocks his genetic memories. After discovering that he is a descendant of a secret society known as the Assassins, Lynch gains the knowledge and skills to battle the oppressive Knights Templar. This science fiction tells the story of Jim, a mechanic travelling on a 120-year journey to another galaxy. He accidentally wakes up decades too early due to a pod hibernation malfunction. Desperate for a companion one year later, he wakes up another passenger, Aurora. He soon falls in love with her but eventually realises his fatal mistake. Being forced to live out on the ship, things go beyond what they expected after they find out that the spacecraft itself is in danger, threatening the lives of 5,000 other passengers onboard. Will The ‘Avengers: Endgame’ Be Stan Lee’s Last Marvel Cameo Ever?